Update 9/7/18: Today the British Fashion Council announced that fur will be banned in all the shows and presentations at London Fashion Week. This is the first major fashion week to take this stance. Published 9/6/18: Burberry has joined a rapidly expanding list of luxury brands that have made the decision to ban animal fur from their runway designs (rabbit, fox, mink, Asiatic raccoon, and angora) in favor of faux fur. The policy will commence with Riccardo Tisci’s first collection for the British label, ushering in a new era and vision for the company. 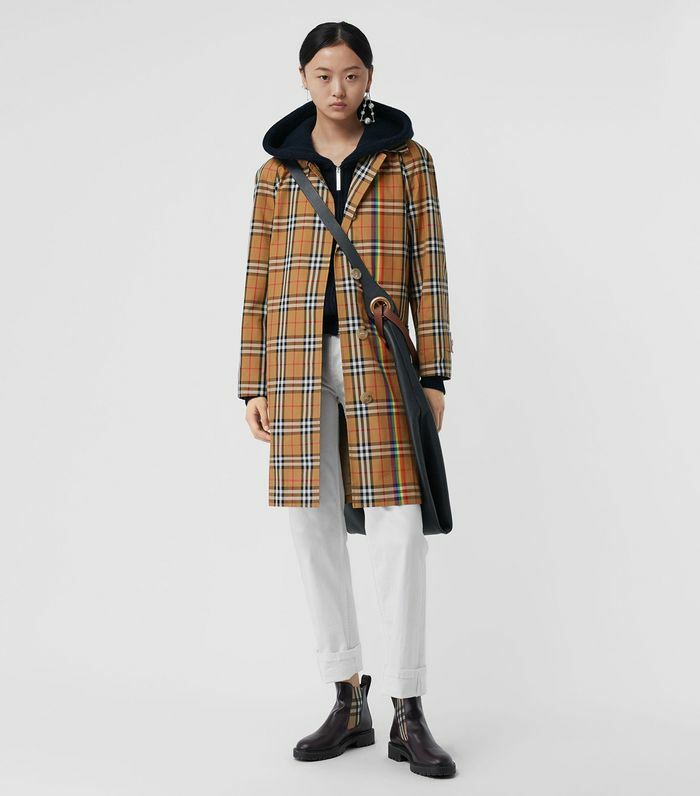 Burberry will also terminate its controversial yet common practice of destroying unsold product; the company disclosed that it had burned $36.8 million worth of unsold product in the fiscal 2017–2018 year. “Modern luxury means being socially and environmentally responsible,” CEO Marco Gobbetti said in a statement. Burberry’s announcement is becoming a familiar one. Back in October of 2017, Gucci announced it would also only use faux fur, a substantial statement for a brand in such a global spotlight. Over the last 10-plus years, luxury labels such as Michael Kors, Armani, Ralph Lauren, and Hugo Boss have ended their practices of using animal fur. “We think that modern luxury that doesn’t take into account the social and environmental responsibility really has no meaning,” Gobbetti told Business of Fashion’s Imran Amed in an exclusive interview about the announcement. Scroll down for a timeline of the best luxury brands that only use faux fur. Now that you’re up to date on your designer news, head over to see what’s happening in New York for fashion week right now.